A newly published study by Michał Tkaczyk from Masaryk University discusses the results of an innovative teaching strategy which addresses the problem of low levels of student participation in semiotic analysis of media contents seminars. Although active classroom participation plays an important role in knowledge acquisition (Murray and Lang 1997), students might lack the motivation or interest to engage in practical sessions. As emphasized by Tkaczyk, several factors might explain this issue. These include students’ academic dispositions, their lack of understanding of semiotics’ practical applications, and the possibility that interest and knowledge are not closely related, despite the claims in the scholarship. To address this issue, the author tested novel means to enhance students’ active participation, as well as their interest in the course and acquisition of key concepts. The innovative teaching strategy entailed small group work during which students used cut-ups, and they concluded the exercise with a debriefing that utilizes concept maps. Outcomes of the innovation are evaluated with a minute paper and a set of survey questions. Results show that, when compared to lecturing, activities in small groups enhance knowledge acquisition, but the innovation did not bring about desired increase in student participation and interest. The main strength of the chapter lies in the sound theoretical framework upon which the quasi-experimental research design is built. The methodology employed to address the research question (using the treatment and control groups while testing the three hypotheses), is suitable for the research problem at hand. Even though the teaching challenges that prompted the innovation—the low level of student participation and lack of interest in the semiotic analysis of media content—are not resolved, the ultimate goal—better learning—is achieved. For future research, I would recommend to test students’ overall course performance in relation to other innovative teaching techniques that are reported to enhance students´ interest and engagement. To increase the reliability and validity of the results I would suggest a longitudinal research design and a larger sample size. 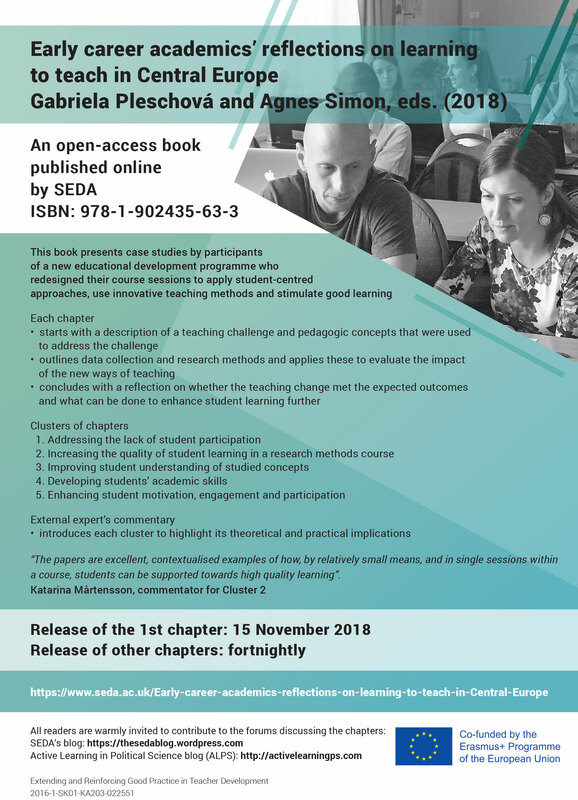 This chapter will be of great interest to all academics interested in using various teaching techniques to create a more dynamic, collaborative and engaging learning environment for their students.